Cloth Diaper Revival: Enter to Win a Miosoft Diaper Set from Bambino Mio! Enter to Win a Miosoft Diaper Set from Bambino Mio! It's Mother's Day weekend and we're just a few days away from the 8th Annual Flats and Handwashing Challenge! 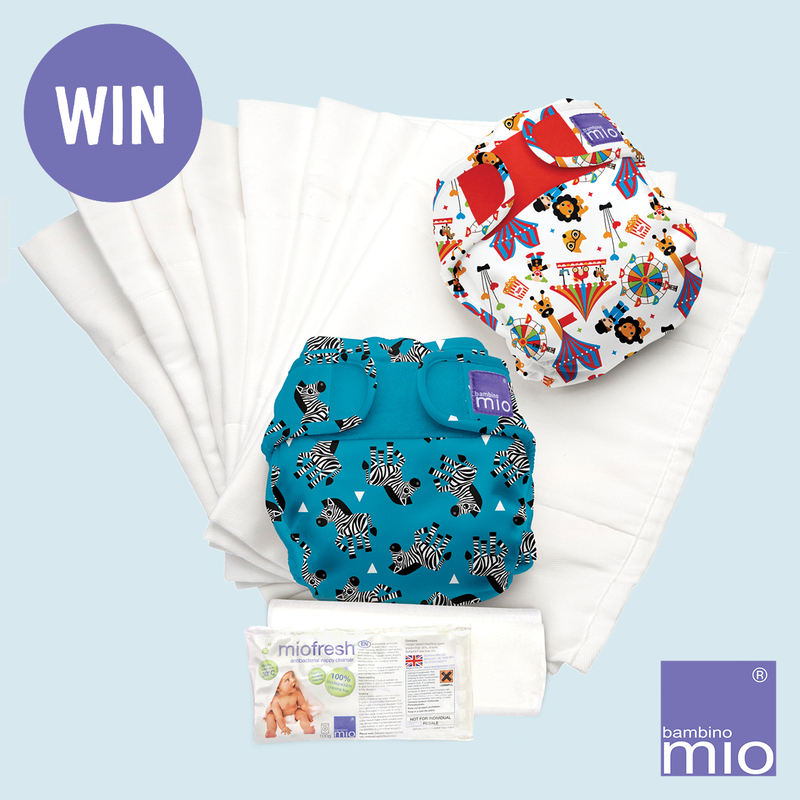 To celebrate, Bambino Mio is giving away a Miosoft Two-Piece Diaper Set! Bambino Mio diaper covers are some of my favorite covers in my stash! Not only are the prints adorable, but the PUL is so soft. I really love their hook and loop on their covers as it doesn't aggravate my baby's skin if it happens to rub against it. If you haven't tried them, you should! We have quite a few of these that will be getting us through the Flats Challenge. Enter below to win a Miosoft Diaper Set! Giveaway ends on Monday, May 14th! Open to residents of the US and Canada, must be 18 years or older to enter.